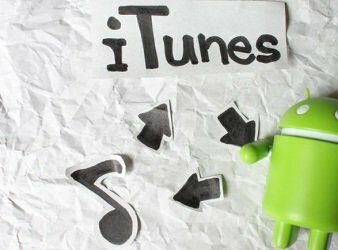 Here we'll show you solutions to transfer both iTunes music and movies to Google Play and Goolge Drive with ease. Wanna keep the rented iTunes movies forever on your computer? This tutorial will help you completely unlock DRM from iTunes movie rentals. Would like to purchase the new LG G7 for enjoying iTunes movies on big display? Here, we will show you the detailed guide on how to make iTunes movies and TV shows playable on LG G7 ThinQ. With the 6.20-inch touch-screen display, Asus ZenFone 5/5Z is one of the best media players for watching videos. Here, in this article, I will tell you how to play iTunes DRM movies on ZenFone phone. If you are looking for the way to play iTunes DRM videos on Sharp Aquos S2, you can read on this article to discover the best solution on watching iTunes movies on Sharp devices. Honor view 10 is the best phone of CES 2018 with high performance and low price, check this page to find more details if you are interested in buying the phone to play iTunes DRM films. Samsung Galaxy S9 and S9 Plus will be released on March 16. In order to make Galaxy S9 and S9+ more useful, I get the effective solution of playing iTunes DRM movies and TV shows on Samsung Galaxy devices without any limit. ZTE Axon M is an ideal media player to watch movies and TV shows with 6.6-inch display. Now, you can check out this article to watch iTunes videos on dual-screen Axon M.
Oppo R11/R11S is one of the best alternative for users who can't afford iPhone 8. If you want to enjoy iTunes movies on R11/R11S, you can check this tutorial to find out everything you need to know. Do you want to watch iTunes DRM M4V movies on the frameless phone Nubia Z11/Z11 Mini/Z11 Max? This guide will show you the all-in-one solution to get rid of DRM copy protection and transfer iTunes video files to Z11 series. Just like any popular Android device, Vivo X20/X20 Plus is not able to play iTunes movies and episodes directly. Here, there is a quick tutorial to convert iTunes video to Vivo X20 and X20 Plus without any limitation. Nabi tablets are made especially for kids. In this article, you can learn how to play Disney and Cartoon purchased from iTunes on Nabi tablets, such as Nabi 2, Nabi SE, Nabi Elev-8, etc. This article introduces the best solution on making iTunes DRM M4V movies and TV shows available on Huawei Honor 9 with the help of DRmare iTunes to Huawei Converter. Are you looking for an effective way to make iTunes DRM movies available on ASUS devices? This article covers a professional solution for you to play iTunes M4V videos on ASUS phones and tablets with 100% original quality preserved. 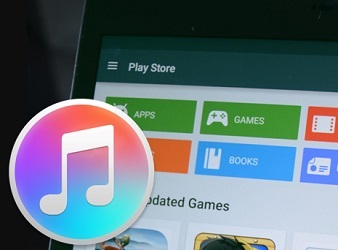 If you have a Galaxy Alpha phone and want to enjoy iTunes movies on the go, you can follow the best tutorial to remove FairPlay DRM protection and transfer iTunes M4V to Galaxy Alpha. In this post, you can find out the simple yet professional tutorial on how to convert iTunes DRM M4V movies on Razer Phone by removing DRM protection from iTunes purchases and rentals. Nexus 5X/6P are both a great video player for watching movies. For iTunes users, you can visit this article to find out the solution on playing iTunes DRM movies and TV shows on Nexus 5X/6P with ease. Since iTunes DRM videos can't play on Andorid smartphones, here, this article covers the best solution to make iTunes DRM M4V movies playable on Huawei Mate 10/10 Pro while introducing the design and display of Huawei Mate 10/10 Pro. In this article, you can learn how to transfer iTunes videos to Xiaomi Mi 6 by removing the DRM limitation and converting iTunes M4V to compatible Mi 6 formats. We are here to talk about the best solution to play iTunes DRM M4V videos on Moto Xoom by converting DRM-ed iTunes videos to unprotected DRM videos with the help of DRmare M4V Converter. iTunes videos are not supported by Galaxy Note 8 by fault, read this detailed tutorial to find out a easiest way to transfer iTunes movies to Galaxy Note 8 quickly. If you are going to swap to LG V30 from iPhone, you can check this tutorial before to find out how to remove DRM so that to make a painless transition and keep the privilege to continue to enjoy iTunes videos on LG V30.